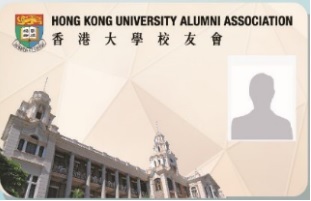 Thank you for your continued support of the Hong Kong University Alumni Association (HKUAA)! We are grateful to have you as our Ordinary Member! We are thrilled to introduce the Membership Card Renewal Campaign to better serve the interests of members as our number grows significantly. We invite members to replace and upgrade their existing paper card with a newly designed plastic card with Photo Identity. Owning a newly designed and durable PVC membership card, at no cost to you. Efficient and privileged access to the HKUAA Clubhouse. * File Format: JPG, JPEG, BMP, TIFF or PDF. We will process your application upon receiving all the required documents listed above. The card will be issued on first-come-first-served basis.